Many web developers know that Drupal is one of the most popular and efficient Content Management System (CMS) for ecommerce solutions. Since its introduction in 2009, Drupal gradually became one of the most powerful tools capable of maximizing functionality, design and features of a website. With Drupal, developers can seamlessly integrate and manage all elements required in creating an advanced next generation website. Our Drupal web development team can help you discover and harness the power of this advanced and flexible open source platform. Why Choose Drupal for Your Ecommerce Website? Drupal is highly customizable and very flexible. If you are planning on creating an online retail store, this platform should be included on the top of your list. There are already thousands of ecommerce websites around the world using Drupal as their reliable CMS platform. However, integrating Drupal into the system can be complicated and difficult, especially for those who don’t have enough experience in web development. Our Drupal web development will handle the implementation process so you can concentrate more on other important functions of your business. CMS should make website management much easier for the administrators, and this is what Drupal is offering. Drupal has very useful functionalities such as graphics modification tools, advanced menu management, users management, polls management and so much more. With these advanced functionalities, our Drupal web development team can create simple or advanced websites, social networking pages or blogs for your business. Drupal is an open source platform, which means that you can always use a good plugin or even create one. There are thousands of plugins available on Drupal. Using Drupal allows the developer to have a wide variety of graphics editing tools. There are also templates and themes for beginners. Drupal provides predefined page functions configurations to help in building the website. Drupal allows the administrator to create new user accounts with established rights. These users can be divided into groups with their own assignments for managing parts of the website. There is a vast community support for Drupal. You can visit the Drupal website and get involved with their discussion board and chat support. You can find plenty of information and tips concerning the management and modification of your website. When you allow our top Drupal web development team to design and develop your website for you, we guarantee winning results. Drupal provides many benefits for your website that can give your business an edge your competitors. Drupal gives you the best SEO advantage. Websites that are powered by Drupal have higher SEO rankings because they are easily indexed by search engines. With higher SEO ranking, this means your website will have more traffic. More traffic means better opportunities for making a sale in your online store. Our Drupal web development can change your web content to match the changing demands of Google or other search engine rankings. Drupal is the perfect platform for mobile devices. You don’t have to use another platform or create another website just to make it mobile ready. With Drupal, your mobile users can also see the same version of your website as those users who visit through their desktop. 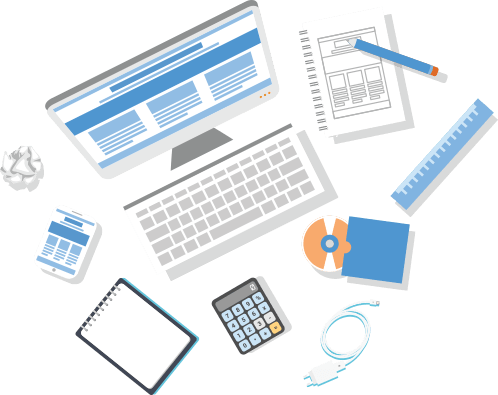 Our Drupal web development delivers better content and layout for websites that can be viewed in both mobile and desktop. Drupal is very well suited for ecommerce and it has been the top choice of many online store websites for several years now. Our Drupal web development team can include banners, descriptions, icons, contests, or just about anything that can bring a full ecommerce experience for your customers. With Drupal, our developers can integrate a lot of store offerings into your website. Unlike WordPress, Drupal does not have so many limitations when developing a website. Our Drupal web development can create websites suitable for all types of industries or sectors. We can develop websites for the healthcare, retail, finance, and so much more. Loading speed of your website is important if you want to increase traffic to your website. Drupal websites are known for having faster loading speed, which is perfect for online stores and ecommerce websites. Our Drupal web development can help you harness the power of Drupal in order to create an ecommerce website that is much faster and better than others. Drupal is an open source technology that can easily be maintained and updated by developers. Our Drupal web development team can help and guide you with installing updates or maintaining the website to keep it functioning at optimum level. We can also make several design changes to your website to deliver a more satisfying experience for your customers.